We live in a smallish house and since I am home more often than not with the kids, the place often feels like it needs little refreshes to keep my interest. I can't replace all of the furniture on a whim, nor would I want to but I do like to make small changes from time to time. One of the ways I keep things feeling fresh is with different bedding. 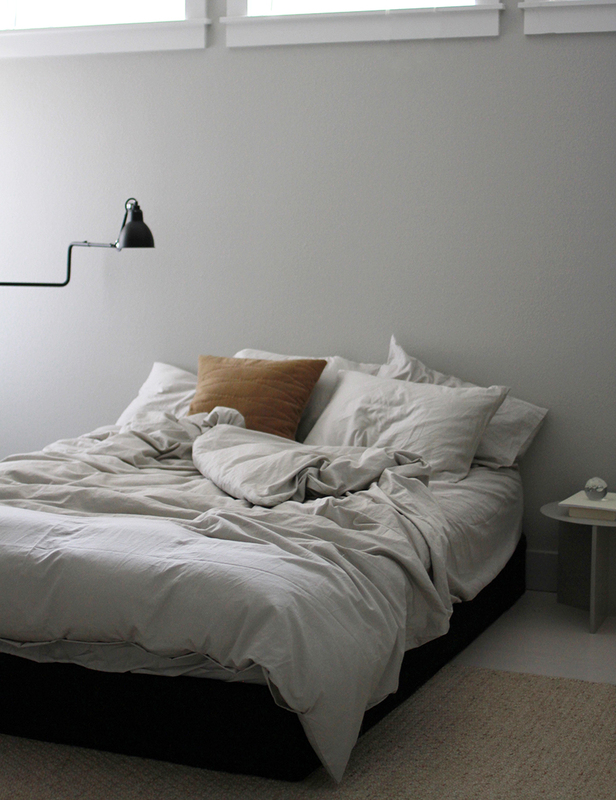 It's much easier to change your sheets than it is to say, paint your walls or buy a new desk chair. I can change the look of the whole room and everything in it by simply changing out the sheets. This particular set is one of my very tip top favorites. 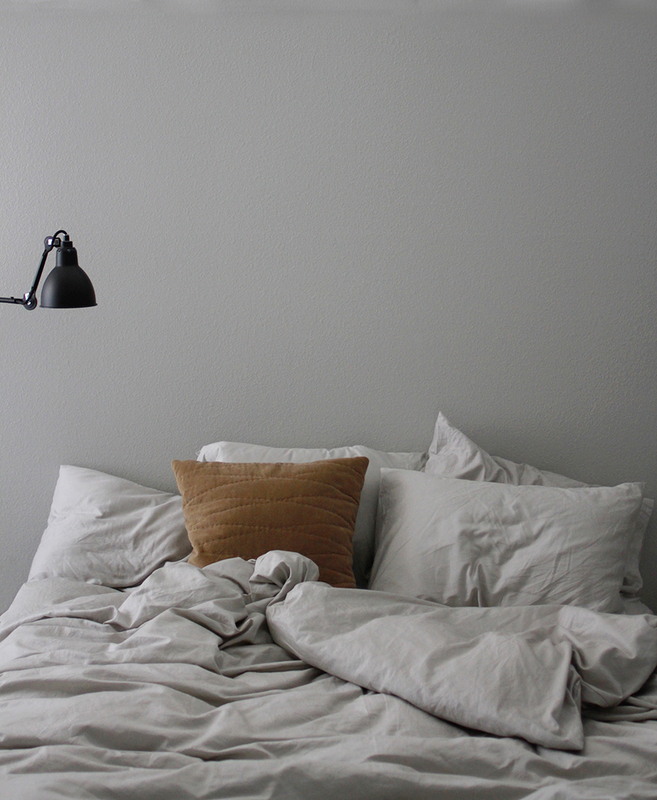 In the past I've had linen sheets and a knit set but these warm grey cotton sateen ones from Brooklinen are my most favorite. They're smooth, soft and just so happen to match our walls perfectly! That might not be your taste, maybe you'd want more contrast but for me I absolutely love the tone on tone feel in our bedroom. For me this equals calm and tranquility, feelings that I value for my/our bedroom. Of course I can always add pillow and throw blanket in a different color if I really want to add dimension or color from the walls. Whatever your color preference, changing your bedding is an easy and cost effective way to change the look of your whole room. When you're tired of it, just wash and store for another time, easy as that!